Now I must admit that I do buy Aldi’s ski gear, so was interested to see that they have a new equestrian range for 2014. I am sad that Aldi do a “once it’s gone it’s gone” policy, but I also like the excitement of thinking what treasure will I find in store this week. Rather like when Tchibo had stores in the UK, I loved those guys too. 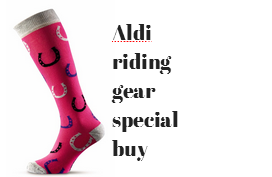 Unfortunately, I know that you may read this post after July 2014, the range is in shops from 24 July, so where possible I have listed other places to buy great value riding gear online in case you miss the great deal at Aldi. I must admit while looking around, I can see that Aldi offers seriously good value and it was too hard to find retailers to beat the store. With this in mind, I have decided to name myself a “FanALDI” as even if they don’t get everything right….they get a heck of a lot right. Remember, if you miss this year, riding gear will come around probably next year too. 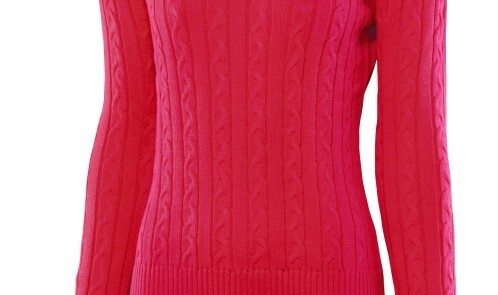 Ride in style in this great value, sophisticated cable knit v-neck sweater, available in stylish pink or classic cream. Ladies Riding Polo Shirt, Stretch Top Cable Knit Sweater are all available in sizes Small – Large. Alternative: Asda has some nice cable knits. 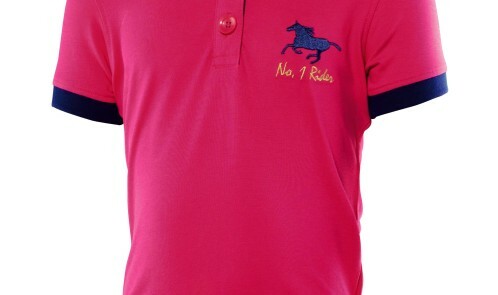 Look the part and feel comfortable in the saddle with this stylish riding polo shirt, featuring side vents and embroidered detail. Available in a variety of colours, it’s perfect for everyday wear. Alternative: you could try Decathlon for riding gear. Layer up without bulking out in this lightweight riding gilet. Featuring reflective print on the back collar, you’re sure to be spotted by cars and pedestrians during evening rides. 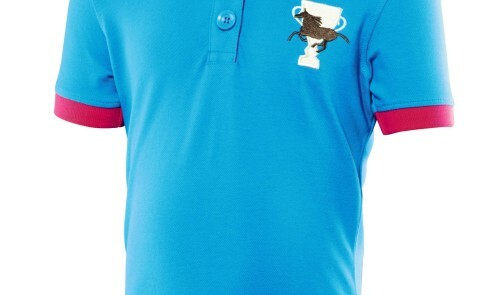 Alternative: Sports Direct also has a good value equestrian range. Perfect for keeping warm but also staying cool on long rides, this stretch riding top features a zip neck with mesh panels and comes in hot pink or cool aqua. Alternative: Equestrian.com clearance is worth a look. Alternative: you could try MandMDirect or TKMaxx for designer polo shirts or Tesco for plain polo shirts. Great for all year round wear, these comfortable, warm and durable yard boots feature a lace-up front and have removable and washable insoles. Available in sizes 4 – 7. Alternative: Fasttack Direct for boots. Alternative: Mountain Horse Sovereign Boots for someone who has a bit more money, these boots are lush. 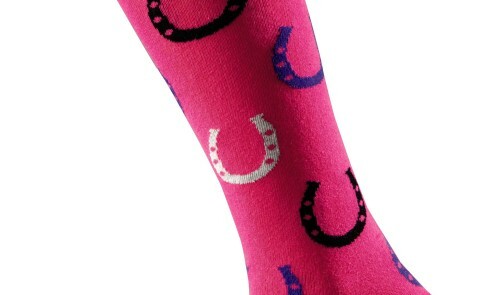 Keep your feet and lower legs warm and cosy with these knee high cotton-rich riding socks, available in a choice of five fun designs and from sizes 4 – 8. Alternative: Active Instinct for socks.